Paresthesia. This is the medical term for the annoying and sometimes painful tingling, numbness, and “pins and needles” sensations that can sometimes come from diabetes. A good example of a temporary paresthesia is a foot “falling asleep” from sitting on it or the dead feeling in a hand after you slept with it tucked under your head. Compression of a nerve in your wrist can lead to carpal tunnel syndrome, making your hands ache and fingertips numb. Sometimes disc problems in the spine lead to numbness and pain. Those are also instances of parasthesia, but they are not caused by diabetes. The cause of our tingling and numbness from diabetes is usually peripheral neuropathy, or nerve damage in the arms, legs, hands, and feet. This complication results from high blood glucose levels damaging nerves and blood vessels. Since the damage hits our smallest blood vessels first, the nerves these vessels feed may develop paresthesia quickly. So tingling and numbness in our toes and fingers are often some of the earliest complications of Type 2 diabetes. But there are many other possible causes of paresthesia. A few of them are hypothyroidism (low thyroid), vitamin B12 deficiency, arthritis, poisoning, stroke, cancer, and conditions such as Lyme disease and HIV. People with diabetes often have problems with hypothyroidism and B12 deficiency. If you are plagued by paresthesia, it is a good idea to get blood tests for these conditions. This phrase made me laugh, but only because it is so true. Pain is frequently part of life as we age. But I have found that paresthesia caused by diabetes can improve. Getting your blood sugar to the target recommended by your health-care provider will help over time. But in the meantime, a healthful diet and exercise can start to address the symptoms. The glycemic index helped me determine which carbohydrates caused the most pronounced blood sugar spikes. But not only do the right foods help blood sugar control, they can in some instances also combat pain. Exercise increases insulin sensitivity, which is great news if you have Type 2 diabetes. Even better, staying active encourages blood flow to your feet and legs, improving paresthesia. 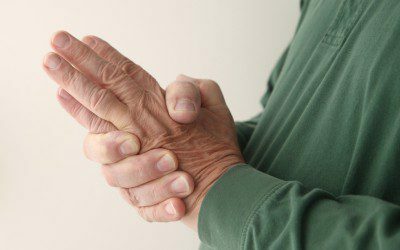 Besides a good diet and exercise, there are other things you can do for the pain and numbness of paresthesia. Sensitivity and foot pain from diabetes may improve with massage. You could use almost any cream or oil (being careful not to get it between your toes). I tried capsaicin cream that is sold in the foot care aisle at the store, and it helped reduce the pain and numbness in my feet. Capsaicin creams have no steroids, so there are no major side effects. It is worth bearing in mind, however, that capsaicin comes from hot peppers and might cause a burning sensation, so you might want to use disposable gloves to apply it. Be careful not to get any near your eyes, and wash your hands after you use the cream. It is not expensive and it can work, so it is worth trying. Ibuprofen (brand names Motrin, Advil, and others) and aspirin are called nonsteroidal anti-inflammatories because they lower inflammation. Both are helpful for the discomfort and pain of paresthesia. Because acetaminophen (Tylenol and others) is not an anti-inflammatory, it is not as effective. If your burning and tingling feet will not let you sleep at night, your doctor can prescribe other things for you. The same medicines that work for other people with paresthesia can work for you, too. You may be given a mild dose of an antidepressant drug such as amitriptyline or pregabalin (Lyrica). These medicines are thought to work by affecting the body’s transmission of pain signals. Stem cell research holds out promise for repairing damaged nerves and ending paresthesia, but that remedy is not available to most of us yet. Please do not just try to live with the discomfort of paresthesia. Chronic pain can lead to depression, and it can keep you from exercising. Depression and pain are two of your worst enemies when you are fighting a chronic condition like Type 2 diabetes. I hope you find a way to deal with the paresthesia that can plague those of us with diabetes. You have dreams that have not yet come to pass, and you have the company of those who love you. Diabetes is not who you are.